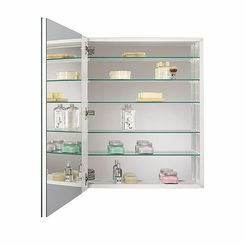 In case you don't know, Jensen medicine cabinets are among the most popular in the industry. They take a simple idea, add their innovative twists, and make it into something great. 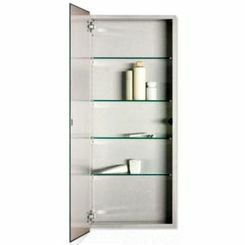 The beauty of it is that you can afford these simple bathroom solutions, so buy Jensen cabinets at PlumbersStock. Jensen is a subsidiary of Rangaire MFG, which has been making quality products since 1948. They are headquartered in Cleburne, TX and are as American as apple pie. Jensen medicine cabinets are their "keystone products". Rangaire has made a name for themselves with technical expertise, excellence in manufacturing, and a relentless focus on customer satisfaction. 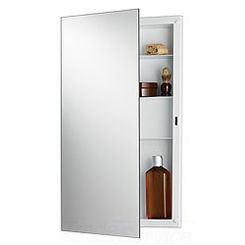 This statement from Jensen says it all: "Whether our customers seek quality medicine cabinets at low cost, or custom-designed cabinets worthy of any luxury accommodation, our cabinets promise functionality and value for any installation." 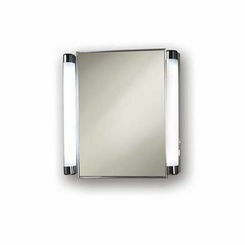 There are frameless options, wood frames, stainless steel housing, their fluorescent side lights, and more. Not all cabinets are mirrored. There are various louver-style doors. It should be easy to find a style that matches your taste and your bathroom. To ease the installation process, Jensen offers a vertical ganging kit that can be used for surface and recessed mounting.